Hey friends! I have a fabulous new project tutorial, a DIY live edge wood coffee table with hairpin legs to share today. It’s time for the Power Tool Challenge Team’s monthly event and this month is another Reader Challenge!... Hey friends! 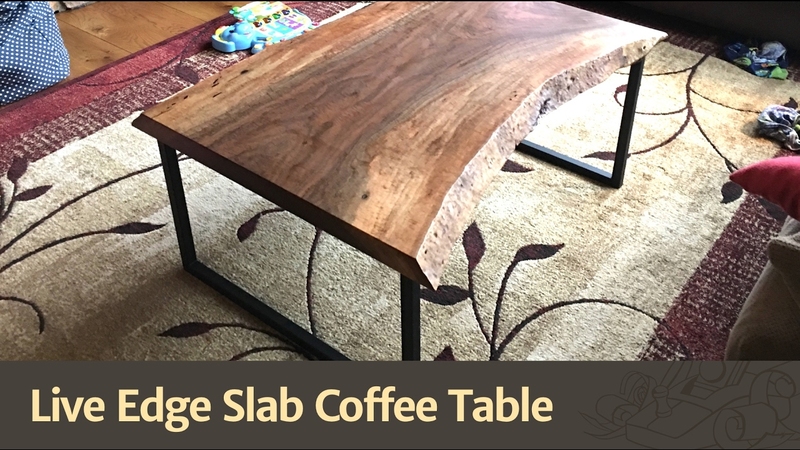 I have a fabulous new project tutorial, a DIY live edge wood coffee table with hairpin legs to share today. It’s time for the Power Tool Challenge Team’s monthly event and this month is another Reader Challenge! Man, ya'll are so nice. Thanks for all the kind words! The stain was pretty simple, I just applied a lighter color stain around the edges and then worked a darker stain through the middle with a rag.